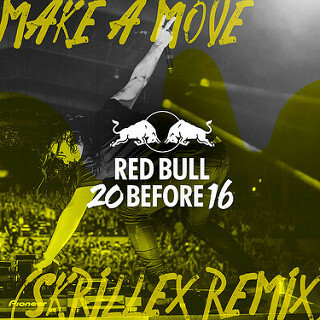 Red Bull recently released the Skrillex remix of Torro Torros’ ’Make A Move’ as the 12th track from the 20 Before 16 music series. Torro Torro hail from Los Angeles via Toronto and specialise in a mix of house and bass music. Now the duo of Yo Ev and Mikey Digits have found favour with Skrillex, who convinced them to collaborate for his OWSLA label. The track was Torro Torro's first single on the label back in March, now fast forward a few months, and here’s the full, official, exclusive remix. A limited 1,000 free downloads of the track were available via the Red Bull 20 Before 16 site and the remix will be out everywhere 8 January on the ‘Make A Move’ remix EP via OWSLA. Moving into 2016, the 20 Before 16 music series features 20 exclusive tracks released over 20 days from artists across the Red Bull network--Red Bull Sound Select, Red Bull Records, Red Bull Studios and Red Bull Music Academy. The series kicked off on 1 December with a track from Red Bull Records artist AWOLNATION and has included ssongs from Red Bull Sound Select artist Gallant and his collaboration with Grammy-winning artist and producer James Fauntleroy; LA-based producer and former Red Bull Music Academy alumnus TOKiMONSTA and her most recent collaboration with Anderson .Paak; Kelela’s current single ’Rewind’ remixed featuring MC Bin Laden; and more.